On the 21st: Chicago-based filmmaker Bing Liu joined us to talk about his Sundance-winning documentary. And, we discussed how wisdom from a 6th century saint applies to America in 2018 in Judy Valente's new book. Plus, the best tips for viewing the 2018 Parseid meteor shower -- whether you're in Decatur or Chicago. There’s an Illinois based documentary that’s getting lots of notice at film festivals around the world - including Sundance, where it won a special jury award. It’s called Minding the Gap. 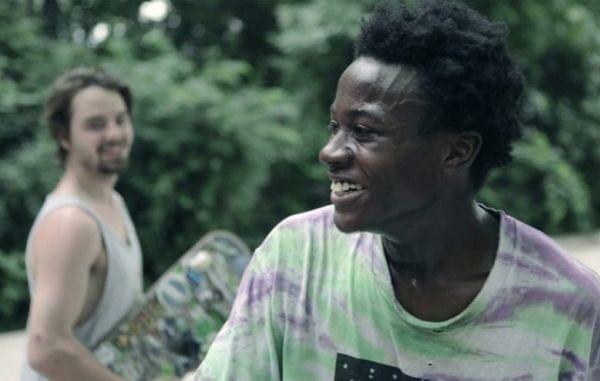 It’s story of three young skateboarders in Rockford - of their lives - and the family they formed skating that helped them cope with abuse, death and domestic violence. If you’re in Central Illinois, it screens at The Art Theater in Champaign tonight. For everyone else, it’s on Hulu beginning on Aug. 17, and other cities. The guy behind the camera is Chicago-based producer and director Bing Liu. He was with us from our studios at Northwestern University in Evanston. How can wisdom from a 6th century saint apply to America 2018? That’s the question that motivates my next guest, Judy Valente. You might recognize her name - she’s a long time reporter, most recently she’s been with our partner station WGLT in Bloomington Normal. Her new book is called How to Live: What the Rule of St. Benedict Teaches Us About Happiness, Meaning and Community. She’s got lots of events across Illinois over the next few weeks to talk about this: next week in Chicago, next weekend in Springfield - in September in Normal. She was with me in our Urbana studios at WILL. "Our job is mainly to listen," @JudithValente says of being a journalist. "Unfortunately we've gotten too much into a corner where we're talking at and over each other and we're not listening to each other." Every year around this time, the meteor shower Perseids lights up the summer sky. At its peak, which is this weekend, observers could see upwards of 60 meteors dart across the night sky every hour. If you’re in the Central Illinois area, you can catch the Perseid meteor shower Griswold Conservation Area from 10pm to midnight on Saturday. That’s located in Blue Mound just south of Decatur. But, if you’re listening in other areas of the state, no worries. We were joined by David Leake who was here to give us some tips about best viewing practices. David is an astronomy and physics professor at Parkland College in Champaign and he was with me in our studio to tell us more. "The good thing about meteor showers is that you don't need equipment. You don't need binoculars, or a telescope, you just need your two eyes- maybe take a lawn chair, that would be good," says David Leake. "You just want to set up in the darkest sky you can and look up!"